Zip up your lifejacket and buckle on your helmet and take a deep breath. There’s nothing quite like an exhilarating ride amongst the rapids that weave throughout the mountains. Watch a bald eagle swallowing fish on a river bank, spot bighorn sheep on rocky ledges and take home memories to last a lifetime. 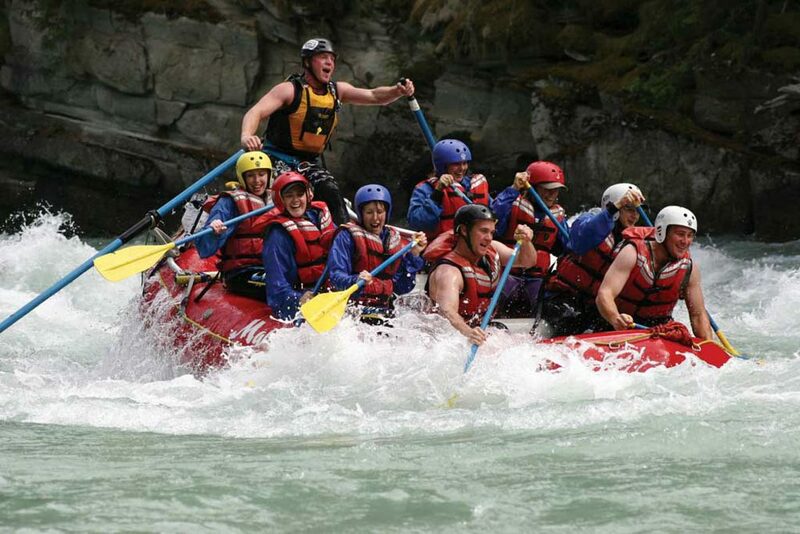 For a novice, a river float is a fun introduction to whitewater rafting. We think the Rockies is a perfect spot for the best experience and can recommend a great guided tour for the whole family. It’s a refreshing feeling to get out on the river and feel the breeze as you roll down the rapids in some of Canada’s most pristine wilderness havens. No matter the skill level, there’s something for everyone, whether it’s a gentle river float, or a thrilling whitewater rafting adventure. Can’t get enough rafting? Map out a multi-day journey in the destination of your choice. It’s a great way to see Canada - and the thrill of the rapids alongside the refreshing spray of crisp Canadian waters - will make for great memories for years to come.